Modern technology has improved surgical anesthesia and made it safer; however, mistakes can still happen. When anesthesia errors do occur, they can have devastating consequences that can include permanent injury or death. 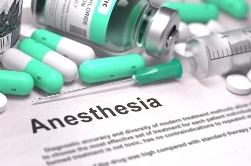 If you or a loved one suffered injuries as a result of an anesthesia error, you may be able to file a medical malpractice claim to pursue compensation for damages. However, because not all medical mistakes constitute malpractice, it's important to understand anesthesia errors and their effects, so you can weigh your legal options. Local anesthesia. This type numbs a small, specific part of the body (such as for biopsy or mole removal procedures). Regional anesthesia. This type anesthetizes an area of the body. Spinal blocks and epidurals are two of the most common regional anesthetics. General anesthesia. This type renders the patient completely unconscious and unable to feel pain. Anesthesia is usually administered by a medical professional who is specially trained to anesthetize and monitor surgical patients. However, anesthesia errors can be made by a nurse, doctor, or other staff members who are part of the patient’s medical team. If there's a breakdown in communication between the members of that medical team, or if the medical professional is negligent, serious anesthesia errors can occur. Even when medical professionals are well trained, careful, and exercise good judgment, mistakes can sometimes happen. For an anesthesia error to be considered malpractice, a patient has to prove that the medical professional failed to provide a reasonable standard of care or behaved negligently, and that the resulting complication or injury caused serious harm. A knowledgeable legal team can hire an experienced medical expert to help build your case. If you injured by an anesthesia error that you suspect was medical malpractice, the experienced personal injury attorneys at Inland Empire Law Group can help. Living with the effects of an anesthesia error can be devastating, particularly if your injury renders you unable to work. We're ready to help you recover any compensation you may deserve. Contact our office today for a free initial consultation of your case.